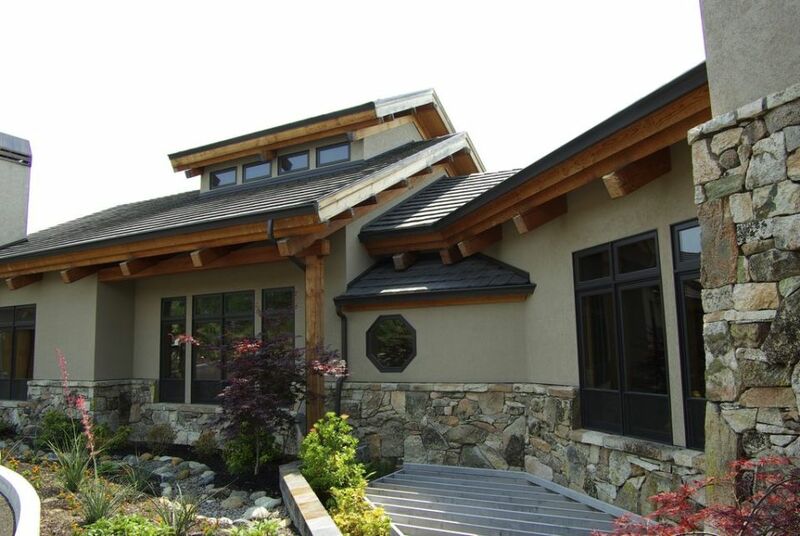 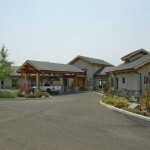 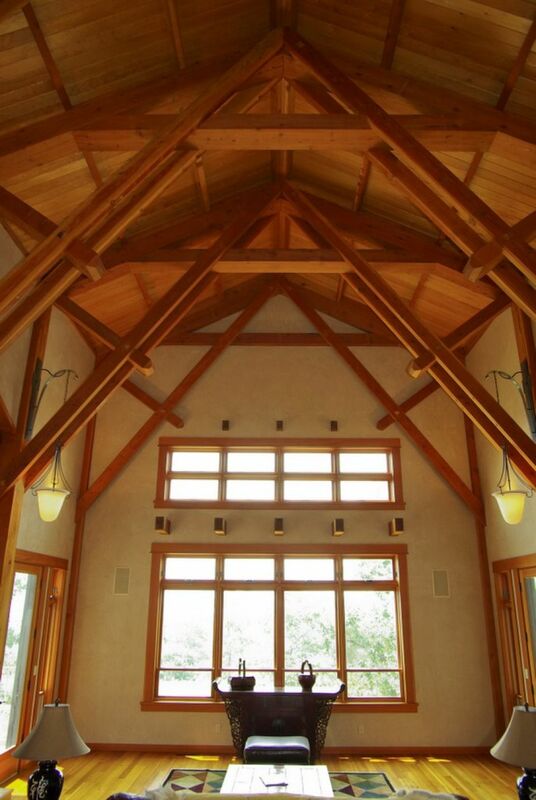 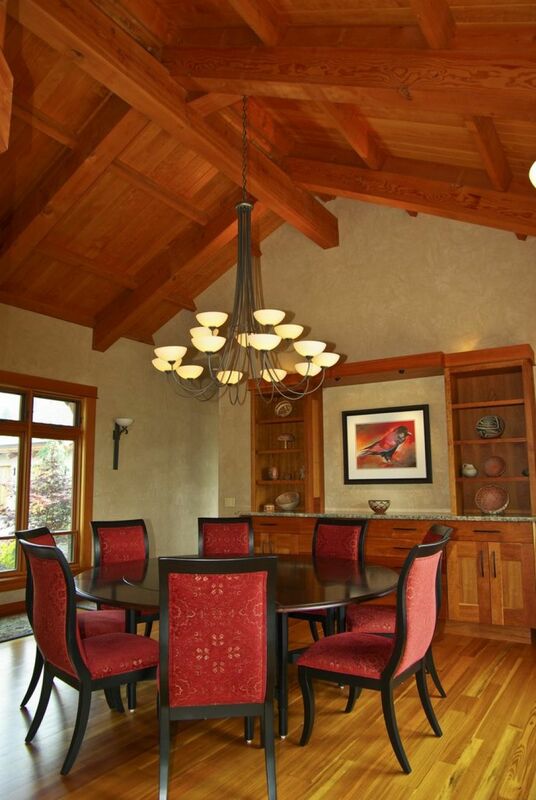 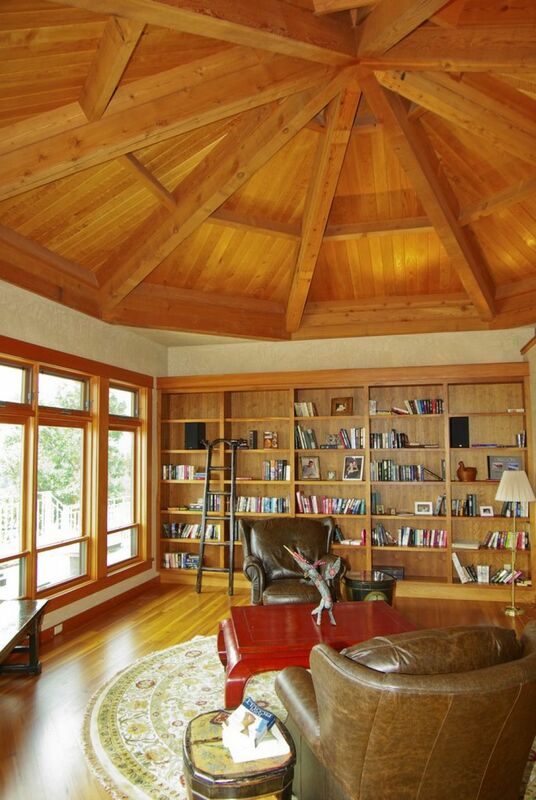 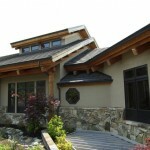 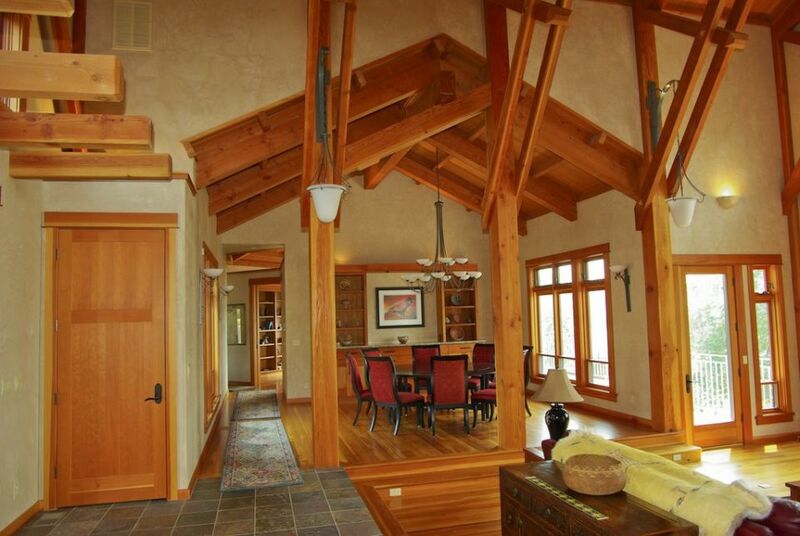 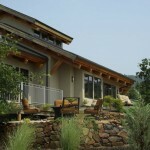 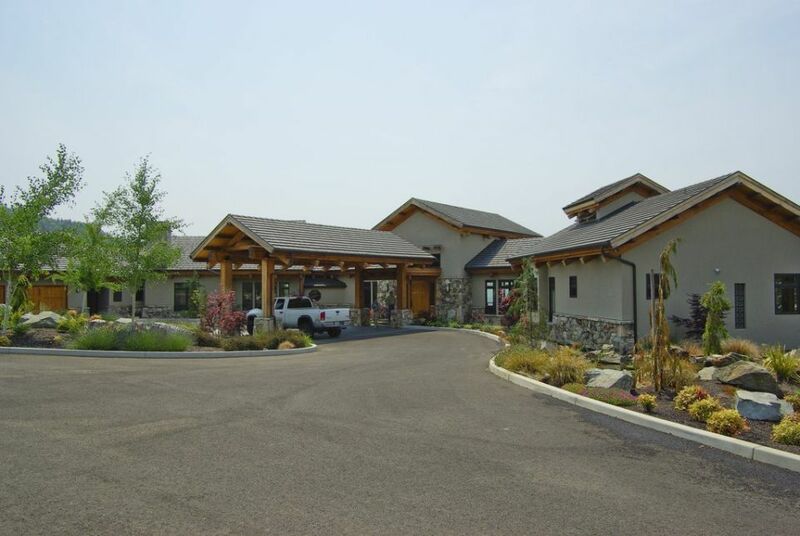 This house is a beautiful contemporary design, and was completed in 2005 in the hills east of Medford. 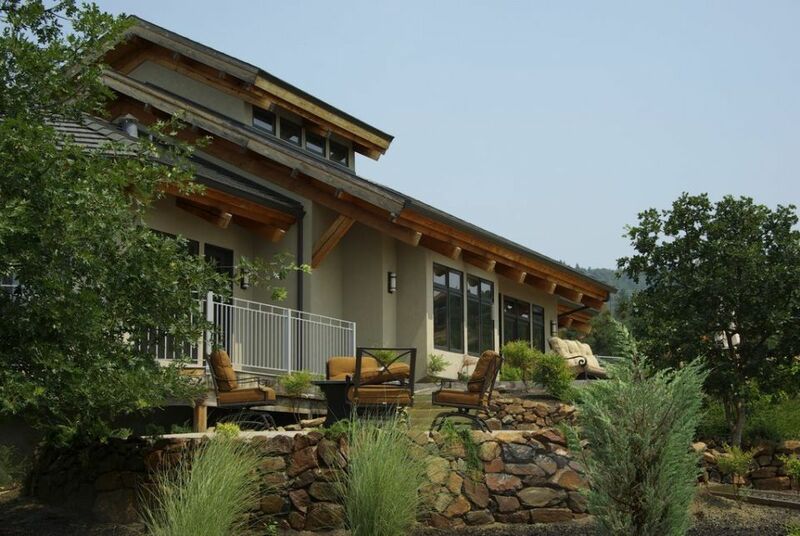 The plans were prepared by Dave Straus of the Medford architectural firm Skelton Straus Seibert. 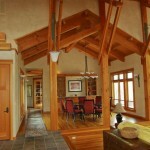 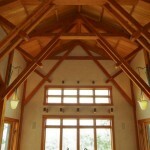 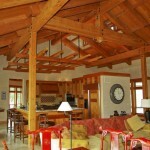 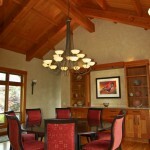 Bostwick Construction and Millwork Company hired us to cut and install the timberwork for the project. 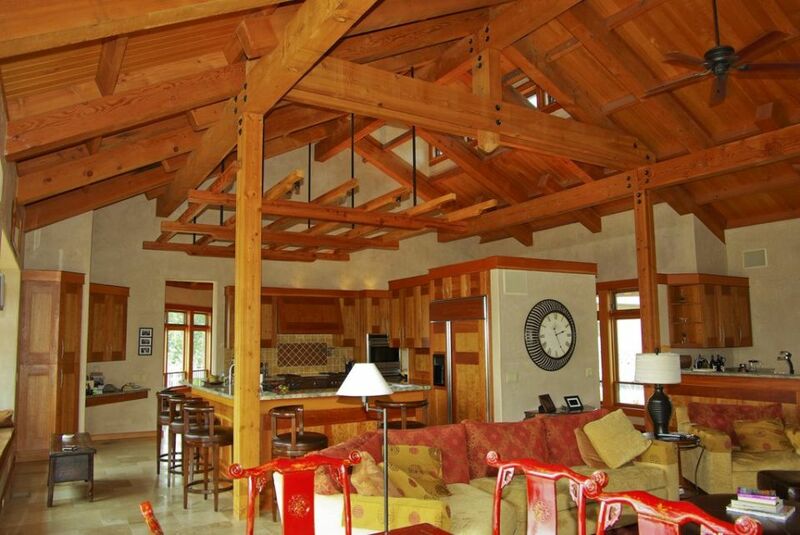 The owner, Dave Stuart, supplied us with rough-sawn reclaimed Douglas fir timbers he milled himself at his lumber yard, Rogue Pacific Lumber.